From the volcanoes of the Cascade Range to the countless ridgelines, peaks and alpine basins of the Sierra Nevada, California offers a wealth of ski touring and backcountry descents for the wintertime enthusiast. 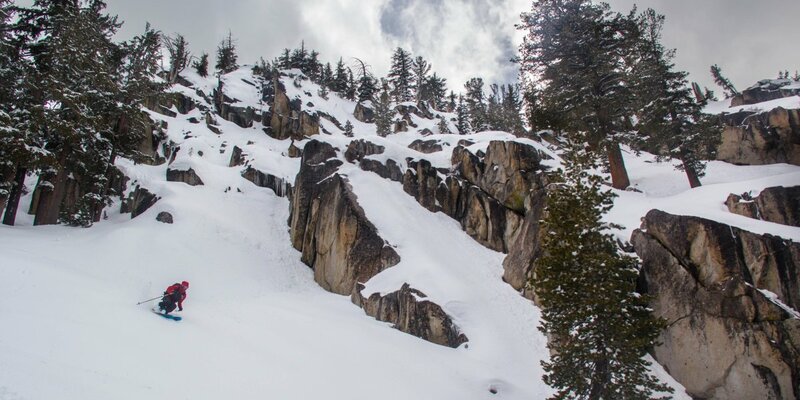 A decent snow year in the golden state yields terrain options that are seemingly endless, spanning from the summits surrounding Lake Tahoe to the remote backcountry of the state's national parks and the Sierra eastside. Weighing the options in Lassen Volcanic National Park. Photo by Reed Youngbar. Whether it's a user-friendly tour to a winter hut, a quick skin up for a morning lap, or a more committed ski objective that you're after, California really does have it all...that is, of course, when there's ample snow. While recent drought years have limited skiing to higher elevations, this winter appears to be shaping up nicely for the state. In anticipation of a consistent and powder-filled winter, we've pulled together a list of some of our favorite backcountry ski and snowboard destinations within northern and central California. Morning freshies near Red Lake Peak, Tahoe backcountry. Photo by Aron Bosworth. Not surprisingly, some of the state's best ski touring is located where maintained (i.e. open) roads penetrate the mountains. No place is more accessible than the terrain around the Tahoe Basin. While you likely won't be alone on the skin track, fantastic touring options await that will have you descending upon the electric blue waters of the lake itself or finishing up a day in front of a wood fire stove in a Sierra Club hut. Further afield, yet still within reach via access roads, is the backcountry terrain within Lassen Volcanic National Park, Yosemite National Park, and Sequoia National Park. You'll have to work harder to score the goods here, and roads frequently close during storms, but the beauty and solitude in these wintertime national treasures is unparalleled. And with spring comes more access. See the full list of favorite backcountry tours in California in the Featured Adventures below! Skiing in Powderhouse Peak's East Bowl. Photo by Reed Youngbar. While winter backcountry adventures can be a fun and an intriguing way to explore the winter wilderness, they can also quickly become dangerous outdoor activities that pose significant and life-threatening risks as conditions affecting safety (i.e. weather, snowpack stability, avalanche hazard) are constantly changing. 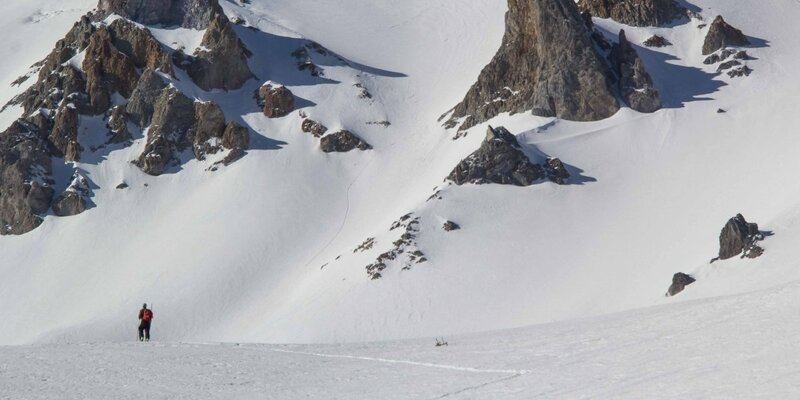 Prior to engaging in these activities, each individual should get the proper training to make safe decisions (including knowing when not to go), and be prepared and equipped to employ avalanche education training and tools. There is an etiquette to backcountry travel that helps keep yourself and others safe. Please visit our Backcountry Skiing and Avalanche Safety post to learn more. Experience, knowledge and informed and safe decision making are the means to a long-lasting and healthy relationship with the winter backcountry.